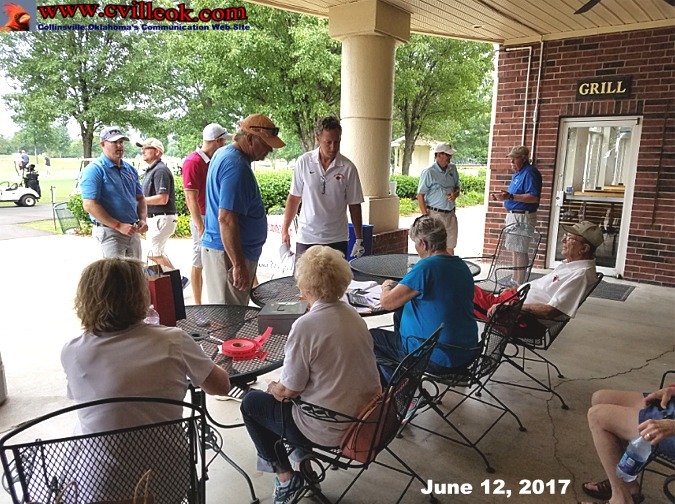 The 2017 Collinsville Education Foundation annual golf tournament was the first without one of its key organizers -- Bill Thomas who passed away in 2016. 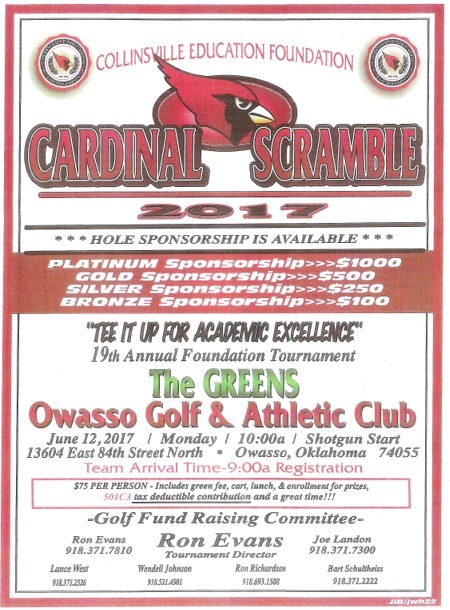 The 2017 event had 16 teams competing June 10th at The Greens in Owasso. The real "winners" of the tornament will be Collinsville students and teachers. 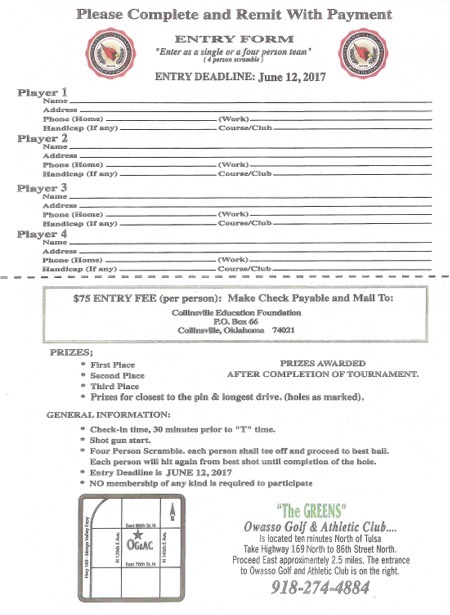 An incomplete list of golf winners follows: First place - American Bank 2 (Emmett Hahn, Steve Messner, Tony Woods, and Jeff ? ); 2nd Place -- Redbud Physical Therapy (Bo Esmeyer and?? ); and 3rd Place -- Team Hunt: Kenny Hunt, Canon Hunt, Jeff Borgstrom and Walker Roberts; and Longest Drive -- Canon Hunt.